The best thief I ever knew accused me of stealing from him so often that I began to question my integrity. I dated a woman who cheated on me so often that I’m still embarrassed that I wasn’t more aware of her infidelities. Her octopus ink involved psychological projection in the form of repetitive accusations of infidelity on my part. Her charges were so effective that I spent most of our relationship defending myself. These are but the greatest hits of compulsive liars who used tactics on me, so often, that I forgot to question their integrity. If their goals were to prevent me from analyzing them, they were successful. The more I thought about it, the more I realized their accusations said more about them, and their worldview, than it ever did me. Some might call this projection, others might call it deflection or obfuscation, but I believe the games these people play fall under a comprehensive, multi-tiered umbrella I call the thief’s mentality. Kurt Lee introduced me to the confusing mind of a deceptive person, even though I wasn’t aware of it at the time. The art of deception was such a key component of his personality that he was hypervigilant to the signs and signals of possible transgressions occurring in the minds of those around us. He spent his life so attuned to this frequency that his instincts often led him astray. Kurt taught me more about how a deceptive person thinks, than any other person I’ve encountered, movie I’ve watched, or book I’ve read on the subject. He would serve as my prototype for those who would exhibit a wide array of similar traits, traits I would only later deem the attributes of the thief’s mentality. The most interesting aspect about the man, a characteristic that might defy that which I will describe throughout this piece, was his charm. When it served him, Kurt Lee had the propensity to be nice, engaging, and infectious. He was also a funny guy, and a genuinely funny person can disarm us, unless we stick around long enough to learn more about their sensibilities. Those who knew Kurt Lee, on a superficial level, envied him for the ways in which he openly defied authority figures without guilt. Those who actually spent as much time around Kurt Lee as I did, however, witnessed that for all the charisma a piece of work (POS) displays, they ultimately end up destroying themselves from the inside out. One afternoon while on a city bus, Kurt decided to play with the crocheted ball on top of the stocking cap of the elderly woman that sat in front of him. My reaction to this spectacle may be one of the things I have to answer for on Judgment Day, because I found his appalling act hysterical. Hindsight informs me that my youthful attraction to Kurt Lee’s antics may have had something to do with learning about the mores and rules my mother taught me. Why haven’t I ever played with the ball on top of an old woman’s stocking cap? What’s the difference between Kurt Lee and me? Is it about morality, or does it have more to do with common decency? My mother taught me that when a young, healthy male sees an elderly woman, he should smile at her and try to think up something nice to say. My mother taught me to hold the door for her, and she said that I should consider it a privilege to give up my seat to a woman like that on the city bus, if no other seats were available. To that, Kurt began thrusting his hips forward in his seat, while looking at me, whispering, “She just wants unusual carnal relations!” As a teenager trying to elicit more laughter from another teen, Kurt Lee did not use that term. He selected the most vulgar term he could to describe his extrapolation of her desires. Had Kurt Lee decided to stick his middle finger up in the face of a healthier, younger adult, it would have been just as difficult to avoid watching. The fact that he chose such a sacred cow of our culture for his rebellion, however, made his actions over-the-top hilarious. In my young, unformed mind, this was a real life equivalent to David Letterman’s man-on-the-street segments, taken up ten notches on the bold-o-meter. I would later learn that Kurt Lee was not the type to make profound statements about our societal conventions. He was more of a doer, and doers just do what they do and leave the messy interpretations of what they do to others. I would also learn, by the manner in which Kurt Lee selected his victims based on their inability to fight back, that Kurt Lee was something of a coward. At the time, though, I found his actions so bold that I couldn’t look away, and I couldn’t stop laughing. As time wore on, I discovered a wide array of fascinating explorations of human nature, but those paled in comparison to Kurt Lee’s mentality, his philosophy, and what drove him to be so different from everyone I had ever met. To listen to him speak on the topic, there was nothing different about Kurt Lee. He simply had the courage of his convictions. He ascribed to the more conventional line of thought that we were all afraid to be like him, but he also suggested that the rest of us have had this part of our makeup denied by parents and teachers instructing us to act differently for so long that we now believe we are different. The import of his message was that this was not about me, and it was not about him. It’s about human nature and the thief’s mentality. “If you could get away with it, you would try,” was his answer to any questions posed to him. “You mean to tell me you’ve never stolen anything? Ever? All right then, let’s talk about reality.” Kurt Lee was a thief, and like most thieves, he did not defend his position from the position of being a thief. He would substitute an exaggeration of your moral qualms regarding thievery, claiming that any person who has stolen even once is in no position to judge someone who steals on a regular basis. In short bursts, and on topic, Kurt Lee could lower the most skilled debater to the ground. We called him a master debater, with the innuendo intended, because it was almost impossible to pin him down on specifics. It was a joy to watch. Prolonged exposure, however, opened up all these windows into his soul. When we asked him how a guy from the sticks could afford the latest, top-of-the-line zipper pants, a pair of sunglasses that would put a fella back two weeks’ pay, and an original, signed copy of the Rolling Stones, Some Girls. He would tell us, but even his most ardent defender had a hard time believing Santa Claus could be that generous. Kurt Lee stole so often by the time I came to know him that the act of shoplifting lost its thrill. He decided to challenge himself as top athletes, and top news anchors do, by hiring third-party analysts to scrutinize the minutiae of their performance. He asked me to watch him steal baseball cards from the shop owner that we all agreed was in need of a good lesson because the man refused to buy our cards 99 percent of the time. On those rare occasions when he agreed to buy them, his offers were so low they were almost insulting. I felt validated for coming up with a theory that Kurt Lee accepted, but in hindsight, I think Kurt Lee would’ve used anything I said to motivate me to conspire against the owner. It was an invitation into a world I had never known, and Kurt Lee’s provisos might have been necessary, because I was as nervous as I was excited. I considered the idea that my foreknowledge of this crime could implicate me as an accessory, but I couldn’t shake the asexual intimacy that Kurt Lee was sharing with me, with this invitation into his world. Before we entered the shop, Kurt Lee opened his pockets, in the manner a magician might, and he asked me to confirm that he had no cards in his pockets. He allowed me to mock him without saying a word. When I finished, he opened his jacket to show me his inner pockets. What I saw knocked me back a couple steps. I actually took a step back when I witnessed the number of baseball cards that lined his inner pockets. I would’ve been impressed if he displayed one card, and three or four would’ve shocked me, but the sheer number of cards he stole without me noticing one act of thievery, led me to believe that Kurt Lee wasted his abilities on the petty art of shoplifting. I considered telling him to try his hand at being a magician for I thought what I was witnessing were the skills of a maestro of deception. If he could hone in on those skills, I thought the possibilities were endless for Kurt Lee. Soon after recovering from that awe, I began to wonder how one acquires such a deft hand. As with any acquired skill, trial and error is involved, but nestled within that lies the need to find a utility that permits the thief to proceed uninhibited by shame. A skilled performer in the arts or athletics delights in displaying their ability to the world, in other words, but a thief prefers to operate in the shadows, and they acquire their skill with a modicum of shame attached. Success as a thief, it would seem to those of us on the outside looking in, requires the potential thief to either a defeat of that sense of shame or find a way to manage it. Shame, some argue, like other unpleasant emotions, becomes more manageable with familiarity. When a father introduces shame to his child, in the brutal assessments a father makes regarding the value of the child, the child becomes familiar with an intimate definition of shame before they are old enough to combat them. When such brutal assessments are then echoed by a mother’s concern that their child can’t do anything right, the combined effort can have a profound effect on a child. When those parents then console the child with a suggestion that while the child may be a bad seed, but they’re no worse than anyone else is, something gestates in the child. The moral relativism spawned from these interactions suggests that the search for the definitions of right and wrong is over, and the sooner the child accepts that, the more honest they will become. Seeing their mother scold a teacher for punishing their child for a transgression only clarifies this confusion a little more. In that relativist scolding, the child hears their mother inform the teacher that the child can do no wrong, and they see her unconditional support firsthand. Over time, the child must acknowledge that their parents will not always be there, so they will need to develop personal defense mechanisms in line with what they’re learned. The child also learns to accept these realities for what they are, for the Lee family has never had the courage necessary to commit suicide. I hated discounting the level of individual ingenuity on Kurt Lee’s part, but he was simply too good at the various forms of deception for it to have been something he arrived at on his own. Attempting to source it might be a fool’s errand, but I wondered if I were able to sort through Kurt’s his genealogical tree, if I might find sedimentary layers of grievance, envy, frustration, and desperation that worked their way down to him. To those who consider this a bit of a stretch, I ask how much of our lives do we spend rebelling against, and acquiescing to parental influence, and how many of us can say we are entirely free from it? “You think you’re better than me?” Kurt Lee asked, employing the universal get-out-of-judgment free card of moral relativism. This time-honored redirect relies on the lessons taught to us by our mothers, that we are no better than anyone else is, but Kurt Lee’s rant began to spiral out of control when he tried to pivot to what he believed its logical extension. If no one is better than anyone else is and everyone resides on the cusp of whatever Kurt Lee was, the logical extension required the inclusion of an individual that many perceive to be so harmless it’s almost laughable to suggest otherwise. 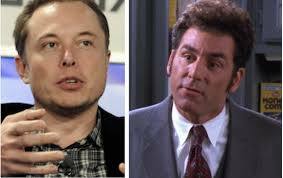 The individual, in this case, was a kid named Pete Pestroni. If Kurt Lee’s arguments were going to hold water, the idea that Pete Pestroni was a wolf in sheep’s clothing would have to become an agreed upon fact. I’m still not sure why Kurt Lee went down the Pete Pestroni road so often, but I suspect it had something to do with the idea that if Pete was immune, in one form or another, everyone else had to be too. Pete was just too weak, or too scared, to let his wolf run wild, in Kurt Lee’s worldview. We would laugh at the implausibility of Pete Pestroni having a Kurt Lee trapped inside, a thief dying to come out. Our intention was to laugh with Kurt Lee, but he wouldn’t even smile. Some part of him believed that if everyone was a thief, then no one was, at least to the point of separating the thief out for comparative analysis. This was a sacred chapter in Kurt Lee’s personal bible, and an ingredient of the thief’s mentality that took me decades to grasp. 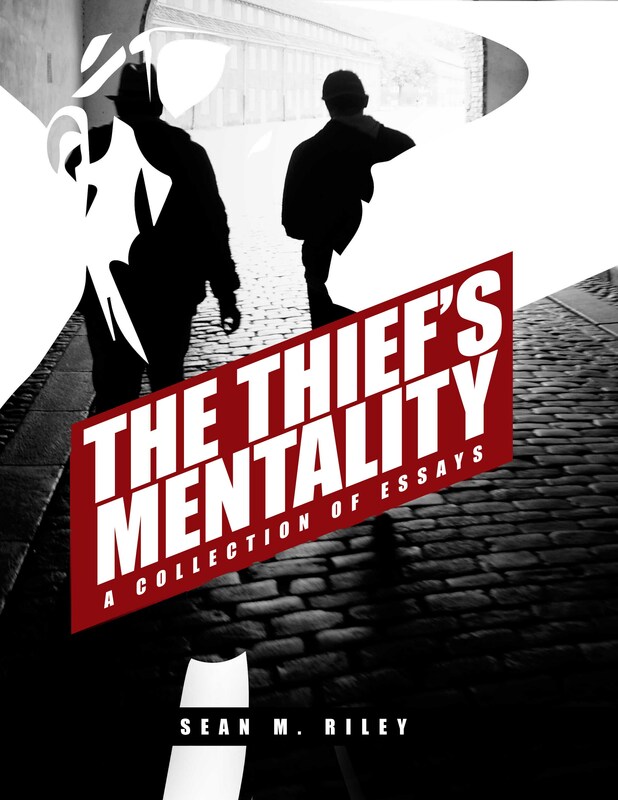 The thief’s mentality is a mindset that involves a redirect of exposing an uncomfortable truth, or a hypocrisy, in others, so that the thief might escape a level of scrutiny that could lead to an uncomfortable level of introspection. An individual with a thief’s mentality may steal, but that person is just as apt to lie and cheat. 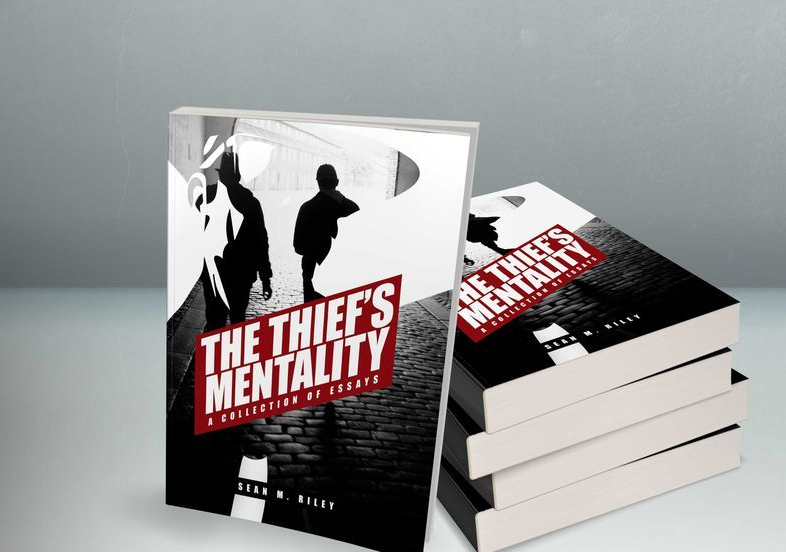 The thief’s mentality begins as a coping mechanism for dealing with the character flaws that drive the thief to do what they do, but it progresses from those harmless, white lies to a form of deception that requires a generational foundation. The thief’s mentality is deflection, by way of subterfuge, a means to explain the carrier’s inability to trust beyond the point that they should be trusted, but some thieves’ outward distrust of others reaches a point of exaggeration that says far more about them than those they accuse. Their cynicism is their objectivity, and others’ faith in humanity is a subjective viewpoint, one that we must bear. We live in a dog-eat-dog, screw-or-be-screwed world in which those who trust anyone outside their own homes are naïve as to the point of hopelessness. If the listener is to have any hope of surviving in such a world, it is incumbent upon them to see past the façades and through the veneer, others present to the truth. The truth, in Kurt Lee’s worldview, held that TV anchors with fourteen-inch parts, and perfect teeth, ended their days by going home to beat their wives. He didn’t believe that a person could attain wealth by honest means. He insisted that because some states convicted some Catholic priests as pedophiles that meant all Catholic priests were, and he had a particular fascination with infidelity in the White House. “You think JFK and Clinton are different? They’re just the ones that got caught is all.” There was also his contention that little old ladies who complained about having someone toy with the balls on the stocking caps just want to have unusual carnal relations. As with most tenets of a person’s worldview, there was some grain of truth in Kurt Lee’s, but he often had to put forth a great deal of effort to support it. In most such discussions, Kurt Lee’s audience was immune. “I’m not talking about you,” he would say to the parties concerned, so they would view the subject matter from the perspective of an ally. If we began to view ourselves as an ally, we might join him in convincing our world that he’s not that bad, or the world is as bad as he is. Yet, our agreed upon immunity from his charges begins to fracture in the course of the thief’s logical extensions. When that happens, the thief turns their accusations on us. We may consider ourselves virtuous and moral, but the thief knows everything there is to know about hidden agendas. They maintain a perpetual state of readiness for that day when we break free of the constraints of morality and loyalty to expose our evil, naked underbelly to the world. They have us all figured out, because they know those lies we tell. It’s the thief’s mentality. Thieves may even believe their exaggerated or false accusations, regardless of all we’ve done to establish ourselves as good, honest people. The validity of their accusation, however, pales in comparison to a thief’s need to keep a subject of their accusations in a perpetual state of trustworthiness. They make this accusation to keep us in check in a manner they know we should keep them in check. The import of that line provides us a key to understanding why an individual with a thief’s mentality would make such a charge against us, and the Pete Pestronis of the world that are so honest it’s laughable to suggest otherwise. Some might call such accusations psychological projection, the inclination one has to either deny or defend their qualities while seeing them in everyone else. Others might say that it’s some sort of deflection or obfuscation on the part of the thief, but I believe it all falls under a comprehensive, multi-tiered umbrella that I call the thief’s mentality. Still others might suggest that Kurt Lee’s accusations were born of theories he had about me, the people around him, and humanity in general. If that is the case, all theory is autobiography. Whether it was as complex as all that on an unconscious level, or some simple measures Kurt Lee developed over the years to prevent people from calling him a POS, I witnessed some try to turn the table on the accusations by telling Kurt Lee that other people trust them. “So you think if someone trusts you that means that you’re trustworthy?” is how Kurt Lee responded. He said the word trustworthy, as if the word itself was an accusation, but that wasn’t the brilliant part of his response. As brilliance often does, his arrived in that section of an argument when the participants say whatever they can to win, regardless what those words reveal. Kurt Lee suggested, in not so many words, that those who consider themselves a beacon of trustworthiness are suffering from a psychosis of another stripe. The reason I considered this response so perfect, as it pertained to this specific argument, was that it put the onus of being trustworthy on the person who challenged Kurt Lee trustworthiness. It also put any further questions regarding Kurt Lee’s character –or what his inability to trust the people in his life said about him– on the back burner, until the questioner could determine whether the level of his own trustworthiness was a delusion that group thought led them to believe. With all that Kurt Lee taught me about this fascinating mentality, always fresh in mind, I’ve had a number of otherwise trustworthy friends ask me how to deal with the thief in their life. They fail to understand why their beloved doesn’t trust them in even the most banal arenas of life. These worried friends said things like, “I don’t know what I did to damage our bond of trust, but they call me irredeemable.” My friends are insecure about their trustworthiness, as we all are, yet they wonder what they did to trigger the damning accusations regarding their trustworthiness. “How do I win him back? How do I regain his trust?” they asked, with sorrow in their hearts. I am sorry to say this, because these concerned friends have consigned themselves to some sort of relationship with the afflicted, one that requires them to spend long hours, days, and years with this person. I have explained the plight of the thief, to the best of my ability, via my personal experiences with Kurt Lee, and it has helped these concerned and confused souls frame the accusations with a name for what their loved one does. The idea that there might be a name for it, also suggests to them that someone has had similar experiences so often that they developed a name for it. Whatever short-term relief they experience in the moment, the idea that their loved one is never going to trust them anymore than they trust themselves dispels it. The damage that thieves, like Kurt Lee, incur is irreparable. They may not enjoy the lives they’ve created for themselves, and the idea that they can’t even trust the one person in their lives that they could, or should. On the flipside, their accusations do allow them to spread their misery around a little. It lightens their load to transfer some of their toxins to others. It also gives them a little lift to know that we are a little less trusting than we were before we met them. They must find some relief in the belief that they are not such an aberration, but this relief is temporary, as the toxins that have made them what they are as endemic to the biological chemistry as white and red blood cells. Nevertheless, it must please them to know that after our interactions with them, we now view humanity in the same cynical, all-hope-is-lost manner they do. If it’s true that a mere 2 percent of people are self-aware, then the lack of self-awareness, at least as it pertains to what we are, and what we are to become, is as endemic to the thief’s mentality as it is in every other walk of life. Like the rest of us, thieves do not believe they live on an exaggerated pole of morality. Rather, they believe they reside in the middle, right alongside the rest of us, somewhere on the good side of the fuzzy dividing line. They also know that we’re all tempted to do that one thing that could place us on the other side. What separates them, to their mind, is their lack of fear, coupled with their refusal to conform to the norms our parents and other mentors taught us. They are also keenly aware that we place most of humanity on their side of the fuzzy line because we all have problems trusting those we don’t know well enough to determine whether they will make moral decisions in life. Some take this natural state of skepticism a step further. Some thieves’ exaggerated, outward distrust for those around them says far more about them than about those they condemn and accuse. It’s the thief’s mentality. Octopus Nuggets I discussed some unusual characteristics of our favorite cephalopod, including the idea that two thirds of the octopuses brain are in their arms, the manner in which the three hearts of an octopus operate, some stories of their reproductive process, and the near-unprecedented loyalty a mother octopus extends to her offspring. We also discussed the ink cloud defense, and the fascinating pseudomorph the octopus creates when, presumably, a simple ink cloud doesn’t confuse the predator enough. If any of these characteristics fascinate the reader, I suggest they read that post first, as this second installment is more of an extension on the more elementary discussion on the characteristics of the octopus. With the recent and largely refuted click-bait story that the octopus may have originated on another planet, my interest in the octopus was reborn. A word of caution here, the information in this second installment may blow your mind. I’m not going suggest that the reader take a seat, as I am biologically predisposed to avoiding clichés of this stripe, but if anything happens to anyone while reading the final third of this piece, I hereby absolve myself of all responsibility if you’re not already seated. Most who love stories regarding the surprisingly complex brain of the octopus have heard the myriad of stories regarding the ability the octopus has to figure puzzles out and escape the best, most secure aquariums, and the tales of SCUBA divers playing hide and seek with an octopus. A writer for Wired, Katherine Harmon Courage, has presumably heard the same stories, and she has an interesting, provocative idea for why we should continue to explore the octopus for more stories though more research, as they might prove instrumental in developing a greater understanding of the human mind. As stated in the first installment, the octopus has more neurons in its arms than it does in its brain. I assume the arms and brain work in unison for some sort of prime directive, but what if one of the arms disagrees? 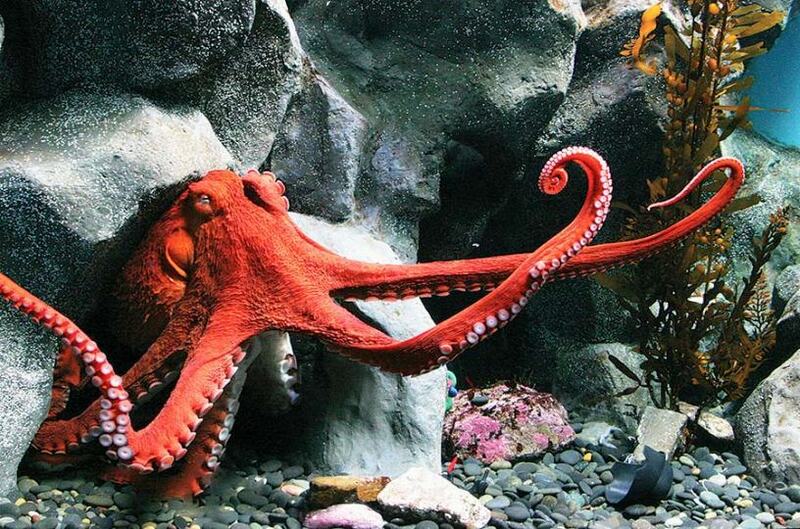 As Scientific American states, “Like a starfish, an octopus can regrow lost arms. Unlike a starfish, a severed octopus arm does not regrow another octopus.” So, if the brain directs an arm to perform a dangerous task, does an arm ever exhibit self-preservation qualities? Does an arm ever say something equivalent to, “I saw what you did to arm number four last week, and I witnessed you grow another arm, good as new, in a short time. I do not consider myself as expendable as arm number four was. I am a quality arm who has served you well over the years,” the sixth arm says to brain. “Why don’t you ask arm number seven to perform what I consider a dangerous task? We all know that he is far less productive.” I am sure that no arm has such a consciousness of its own existence in this sense, and that they largely function to serve the greater need, but how much autonomy do the arms have? Blue Blood: How many of us believed the tale that humans have blue blood, and that it only turns red when introduced to oxygen. The octopus actually does have blue blood, and as Laurie L. Dove writes in How Stuff Works, it’s crucial to their survival. On the planning front, the Katherine Harmon Courage piece in Wired states that researchers have discovered that octopuses in Indonesia will gather coconut shell halves in preparation for stormy weather, then take shelter by going inside the two pieces of shell and holding it shut. The freaky almost unnerving elements of this story, for me, lay in the details of the Jean Boal’s story. The idea that an animal might exhibit a food preference suggests a certain level of intelligence, but I’m not sure if that level of intelligence surpasses that of the dog or the cat. The eerie part for me occurred in contemplating how the octopus relayed that message. Boal suggested that she fed the stale squid to a number of her octopus subjects, and when she returned to the first octopus in that line, that first octopus waited for her to return. It looked her in the eye when she did and shoved the stale squid down the drain, maintaining eye contact throughout the act. I wasn’t there, of course, and I can only speculate based on what Boal said occurred during this incident, but she made it sound like the octopus made a pointed effort to suggest that not only didn’t want to eat what Boal served it, but it was insulted by her effort to pass this stale squid off as quality food, and it wanted to correct her of such notions in the future. We all characterize our pets, and other animals with human emotions and statements, but how many dogs and cats will do something more than sniff at the food and move along? How many will wait for a human to return, so they can be assured that the message will be received that they don’t care for the food, and how many will look the humans in the eye before discarding the food in such an exclamatory manner? I don’t know if you’re anything like me, but the thought creeps me out in the sense that I thought I had a decent frame for how intelligent these beings were, and this frame was a generous one. The characteristics we’ve discussed thus far in part I and in the portion you’ve read thus far in part II are fascinating to me, illuminating, and as I say unsettling to those of us that find comfort in the idea that humans are heads and shoulders more intelligent than the other species. This next part may be where the reader reconsiders whether they should set up some reinforcements behind them. For those who don’t consider this a “Holy stuff!” fact, think about this. The next time you’re in your man cave engaged in a spider solitaire marathon, some octopus somewhere is in their cave re-configuring their molecular structure to redefine their characteristics in a manner that will help it escape a shark attack better. One example might be the pseudomorph. One octopus may have sat in their cave one day realizing that sharks were adapting to the shot of ink that they send out, and sharks were no longer as confused by it as they once were. To adapt to that adaptation, the octopus reconfigured its typical ink cloud shooting abilities to produce a self-portrait of itself that might confuse sharks more. As we will discuss later, octopus researchers aren’t sure why they edit their RNA, but we have to assume it has something to do with predation, either surviving it or finding nuanced ways to perfect their own. If you’re nowhere near as fascinated with this idea as I am, at this point, you will have to excuse my crush with these cephalopods in the ensuing paragraphs. Research suggests that while humans only have about ten RNA editing sites, octopuses have tens of thousands. Current science is unable to explain why an octopus edits their RNA, or when it started in the species. I must also add here that I don’t know how they can determine with any certitude that an octopus can edit their RNA. I’m sure that they examine the corpses of octopuses and compare them to others, but how can they tell that the octopus edits their RNA themselves? How do they know, with this degree of certitude, that there aren’t so many different strains of octopus who all have wide variables in their RNA strands? I’m sure someone will tell me that the process is far more elementary than I’m making it, and I’m revealing my ignorance on this topic in this paragraph, but I’ve read numerous attempts to study the octopus, and almost all of them suggest that the live octopus is notoriously difficult to study. Some have described their rebellious attempts to thwart brain study as obnoxious. If that’s the case, then I have to ask if the conclusions they reach are largely theoretical based on the studies of octopus corpses. If we are able to do that, Gizmodo.com quotes scientists who suggest we might be able to root out a mutant RNA in our own strands to see if we can edit them in a manner that helps us cure a number of ailments heretofore considered incurable.